For too many years it has seemed to me that for young singers trying to make it in the business of popular music there is a formula to be adhered to. A level of blandness is the highwater mark that sets out those destined to the heights of success. The law of Cowell is the rule by which the charts and radio play live and die by. And because of that, popular music has become somewhat uniform, uninspiring and somewhat insipid. 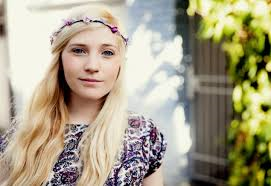 However, recently, there has been a resurgence of performers who don’t need or want the X Factor support. Artists who are confident in their own distinctive voice. Artists who don’t need to rely on overproduced covers of classic songs. And artists who are happy to be successful or not on their terms. They have taken the hard roads, who’ve spent time honing their craft, and like acts like Passenger, have done so on the streets, busking their own music to passing crowds; a skill that is so very, very impressive when notice is made. 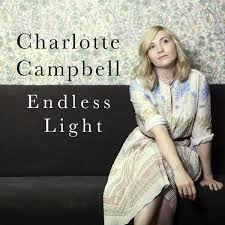 One such artist is London street performer Charlotte Campbell whose 2017 album, Endless Light, is a wonderous collection of 11 beautiful songs, delivered in a unique voice that makes no attempt to oversell the emotion that flows easily through the songs recorded. Songs that are full of real life; love and loss, experience, desire, beauty and wonderous emotion whilst being performed with a charm and innocence that really does lift this collection above the norm. Charlotte has a rare skill that is perhaps contradictory, performing with a confidence that belies the humble persona behind the voice. From the very first play of this album I was enchanted and delighted, spending a gorgeous half hour in the company of this clever, unique and inspiring singer songwriter who fully deserves to make the next step up for more people to hear new music that is truly original. These 11 songs tug easily at the heartstrings, but gently so and all the more powerful for that. These are songs that have no need to bang down the door, to drip with false emotion. They don’t need saccharine over production, tricks or over wrought performance. These are songs that ease themselves into your heart and soul, and make your world a more beautiful, albeit perhaps melancholic, place to be.